Tudor was intended as an entry-level brand for the less democratic Rolex. 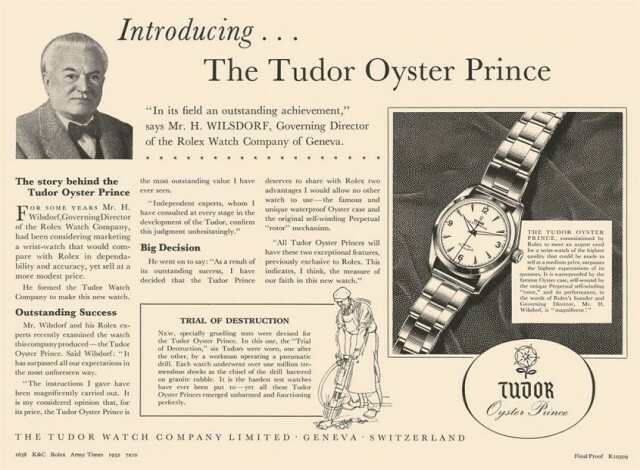 “Montres Tudor SA has designed, manufactured and marketed Tudor watches since 6 March 1946. Rolex founder Hans Wildorf conceived of the Tudor Watch Company to create a product for authorized Rolex dealers to sell that offered the reliability and dependability of a Rolex, but at a lower price.” says their website. 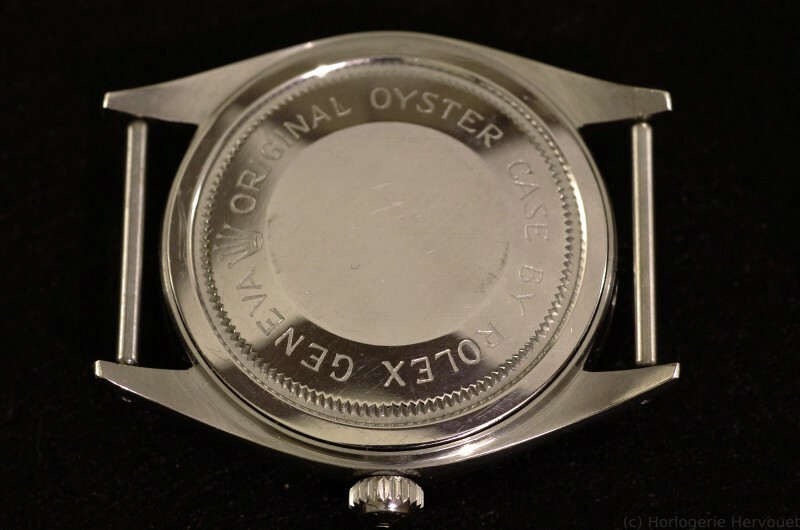 So, beginning in the 1950s, they outsourced their movements to ETA, a big producer of various movements and ebauches, and put them in Rolex “Oyster” cases, with Rolex-signed bracelets. 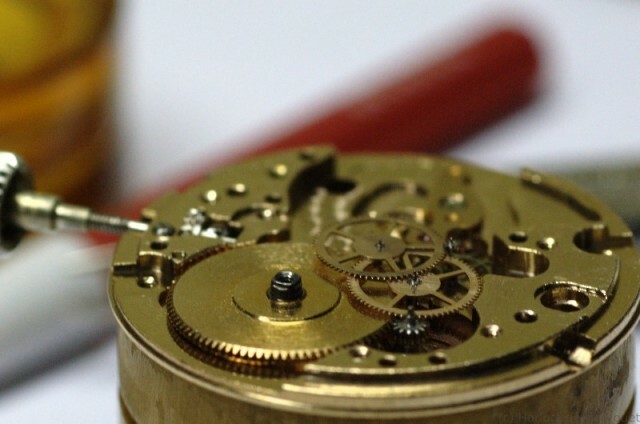 Watches are carefully branded and marketed, and words do count. Successful brands like Rolex and Omega did put some thought into their keywords and most importantly, they stuck to them for decades until they became part of the modern world, like the Levi’s jeans and the Coke soda. 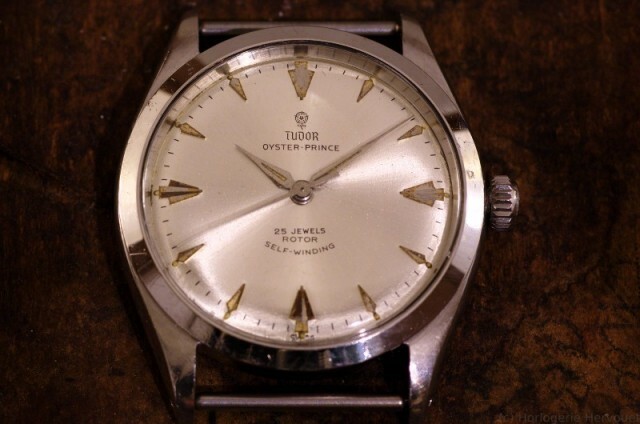 What are the main concepts in the Rolex/Tudor language? Why 7965? 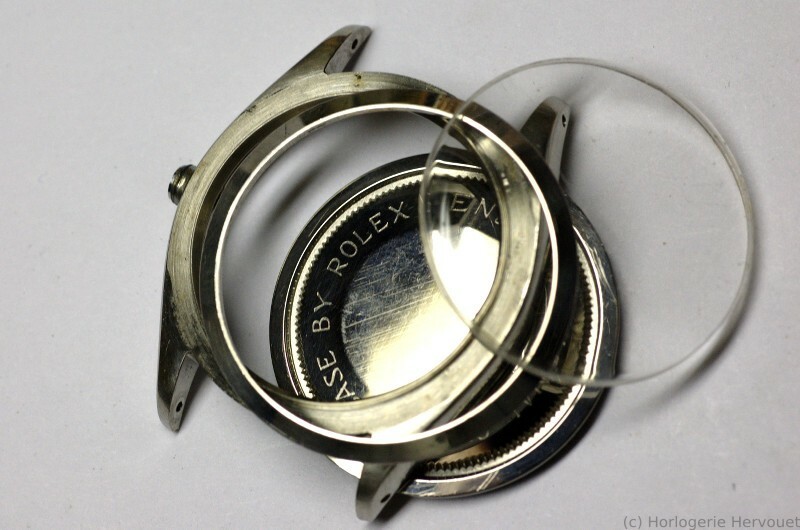 This is the reference number of the case, often engraved between the lugs; Rolex SA made quite a few of them over the years, it must be known to clearly identify the watch. Tudor watches from the 1950s and 1960s clearly state the provenance of their Oyster cases: the Rolex logo is on both the caseback and the crown. 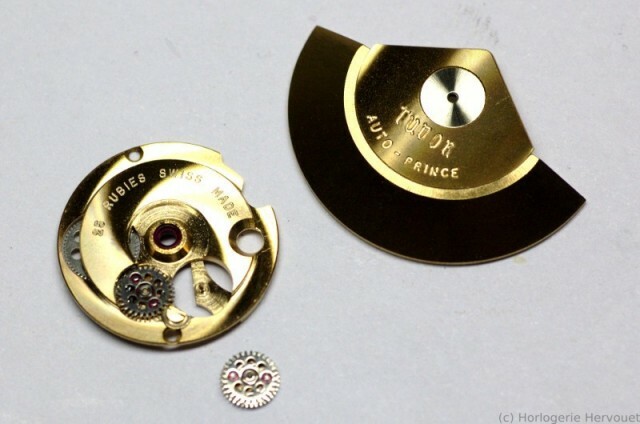 The production date is stamped inside the case (IV 59 here). Inside, the ETA movement is nicely plated and decorated. 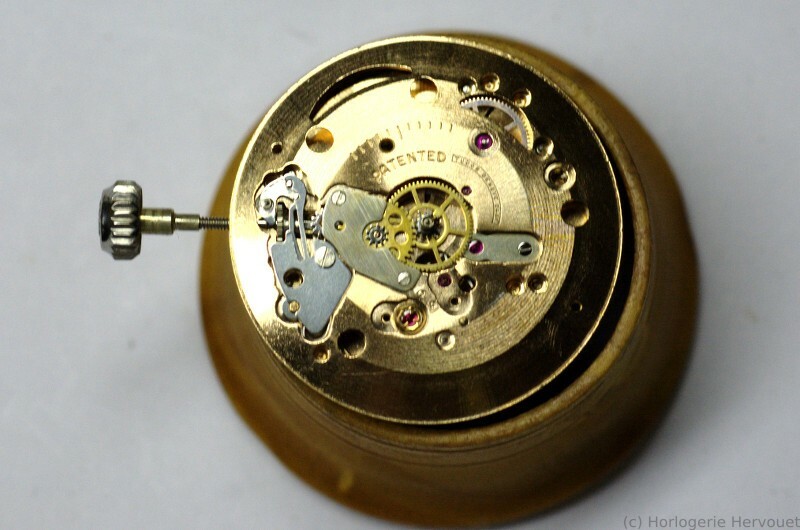 In this particular watch this is an ETA 2461, a real workhorse, tough and accurate when well regulated. It may have been replaced: the originals have a balance wheel with screws and are often plated white, this one has a more modern annular balance and is nicely gold/orange plated.